Remix with the sounds of the world’s premier electronic music label. NV gives you exclusive access to download studio-grade audio stems from Toolroom Records’ catalog, allowing you the freedom to layer, tweak and chop today’s most relevant sonic textures. When you're performing in front of a crowd, you want to focus on the music, not your computer screen. 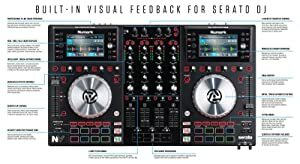 The Numark NV's dual, 4.3-inch full-color screens take 1:1, real-time feedback of Serato DJ and embed it right into a world-class control surface. Eye travel from your laptop to hardware is eliminated, and you retain all critical feedback elements of four independent Serato DJ decks including track status, waveforms, song navigation, effects, hot cues and more. Your full, undivided attention gets to stay in the moment and on the performance so you can put on a great show – without making people wonder if you're checking your Facebook. 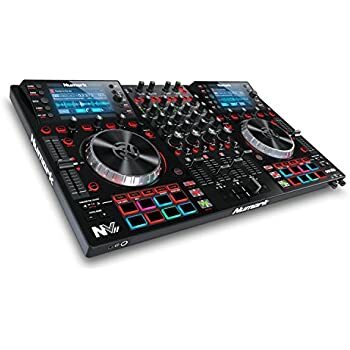 Incorporating the groundbreaking touch-activated controls and performance pad modes introduced with Numark's NS7II, NV empowers progressive track manipulation on-the-fly. FX, EQ and filter knobs are capacitive – responding with a twist, a touch, or both. 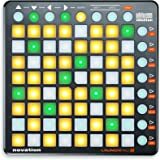 16 impact-sensitive pads provide intuitive control over 10 pad modes for finger drumming, sample slicing, effortless looping, hot cues and more. Each pad is backlit with RGB illumination, providing color-coded feedback within each mode for simple operation in dark environments. NV puts an incredible amount of control into an intelligent layout. Manage complex set-components or keep multiple tracks at-the-ready with 4 decks of in-depth track control. The NV lets you see and hear what your layers are doing without ever taking your eyes off of the elements that matter most. 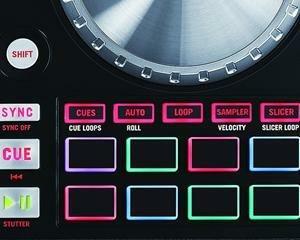 4-decks of Serato DJ software control in a sleek, low-profile design. Integrated displays let you focus on the music, not the computer. 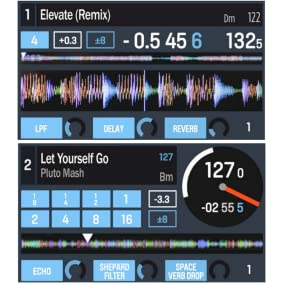 Full-color displays provides 1:1 real-time visualization of Serato DJ. 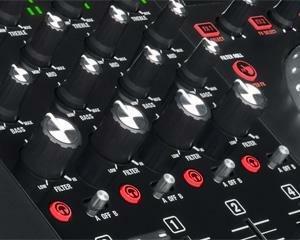 Intelligent touch-activated knobs provide groundbreaking control of filters, EQ and more. Dual 5-inch hyper-responsive metal platters with search and scratch modes. 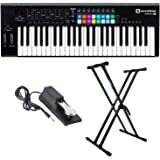 16 impact-sensitive trigger pads with backlit RGB feedback, 10 pad modes, loop slicing, and sample triggering. 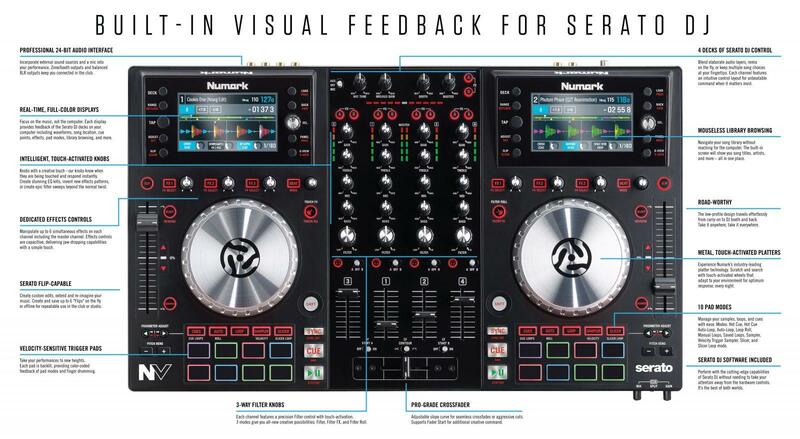 The Numark NV reimagines the hardware-software experience for the professional DJ. 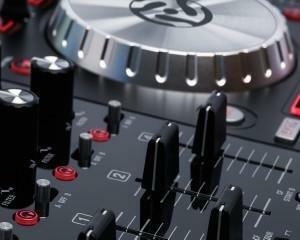 At the heart of NV’s sleek, compact chassis is a set of 4.3-inch full-color screens that provide 1:1, real-time feedback of Serato DJ. Perform your set with the laptop out of sight without sacrificing functionality. Providing four decks of dynamic control, NV’s screens also allow library navigation and show detailed waveforms respective to each deck. Need to load a new song on deck 4 while monitoring the waveforms on deck 1? Easy. Even better, you eliminate eye-travel from controller to laptop screen back to controller for seamless operation. 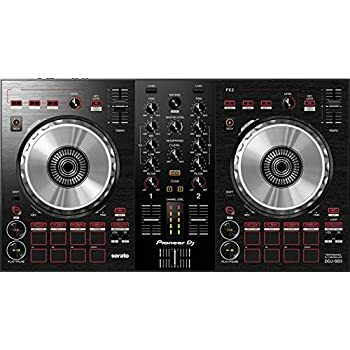 Experience the best of Serato DJ software within critically acclaimed Numark hardware: three-way filter knobs, dual 5-inch platters, 16 velocity-sensitive MPC-style pads with 10 pad modes, and more. 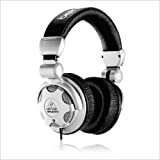 All specifications are measured with a 0 dB input level. Specifications are subject to change without notice. So I have had this controller for almost a year. 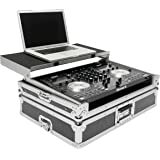 I have done 3 gigs with it and did a lot of practice as I am an aspiring DJ for the moment. You cannot get beatgrids to display on the screens or see the song key on the browser!!! 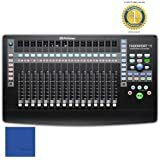 Now this is a must have for harmonic mixing and easy beat matching. Sometimes there is too much going on in the venue and you just cannot ear match. 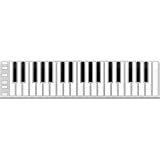 As for no key in the screens it means you have to either look at your laptop which is a bummer since this was meant to eliminate that or you have to go into your next song one by one to check the key. 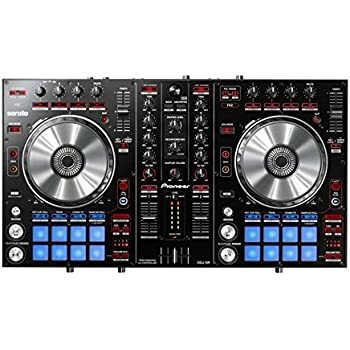 Again you could avoid this by crating properly, but that takes a lot of time when you switch up your music and unless you have a beast laptop analyzing all your tracks in serato and mixed in key adds to the time a good mix will take and adds to your down time as a DJ which is not a good workflow. Audio can desync and lag from time to time. Now I have 1.8Ghz i7 which is a fake quad core(two physical and two logical cores) and this should not be an issue. All my music is on an SSD and my laptop has 16gigs of ram. So there should be no reason for this. Now you can set your latency in Serato to avoid this issue but as we all know even a few ms of delay can ruin the mixing experience. 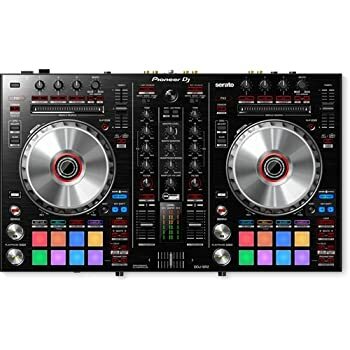 The result is very noticeable to the club as audio completely drops out and comes back a slit second later, this can kill you as a new DJ since you are meant to keep the music flowing. The usb cord that comes with this is too short and very glitchy. I had connection issues constantly. This is a great controller but it fails in execution. 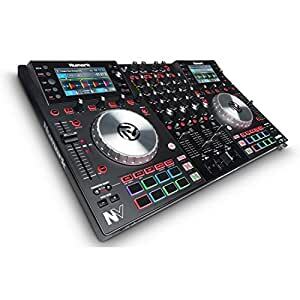 I am giving Numark another chance by going to the NVII which is said to correct most of these issues, but if this keeps happening this next controller will be the last product I buy from them. 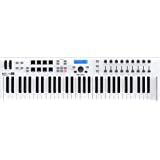 I purchased this product but returned it and reverted back to the NS6 due to the way that it's built. This seems a little more like a toy than a professional controller. The 4Trak and NS6 have a much stronger build and seem to be more road worthy. 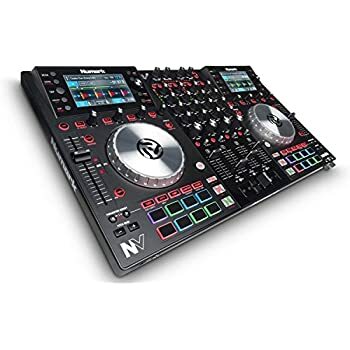 I'll be keeping my eye out for future products from Numark though, as they are my favorite brand for years now, as far as controllers go. 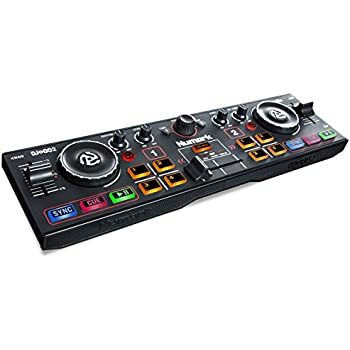 18 months - This is an excellent controller for DJs who feel they have outgrown their entry level controller. 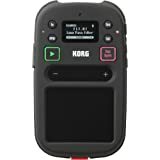 It's a great fit for the amateur/semi-professional learning their way around controllers and their built-in effects. Not too heavy when in a flight case. The only reason it has only four stars is because I have to be aware that some footwear on carpet might create static. Static can affect the controller's touch sensitive capacity (not good in the middle of a gig). This has been my only negative experience (twice until I found out what the cause was). Solid controller. It does so much for the price. The plates are smaller than they appear and they are not motorized. Thats about all i can say thats negative. 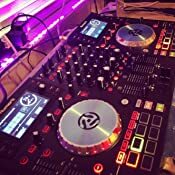 My first DJ controller and I love it. Only gripe is I wish the screens were touch-screen. Otherwise, it's a great product. Great technology, easy set up, I had no issues. But I did a year later upgrade to DDJ-SZ, needed stand alone feature.